Andy Dollar by Gad Berry, plays tribute to Andy Warhol. Gad Berry is obsessed with incorporating striking symbols into his art. 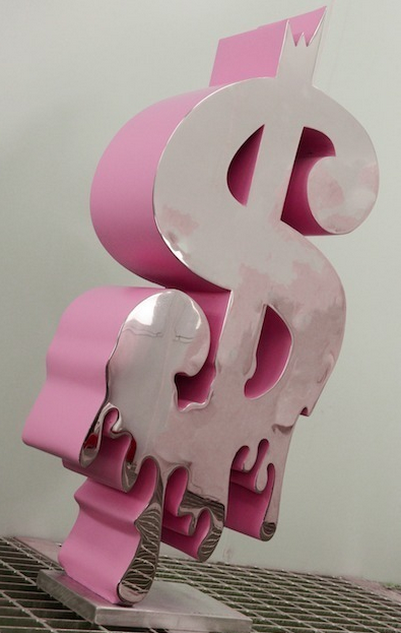 The dollar symbolizes the artistic power of $. Gad is concerned with using American aesthetic that moves its European counterpart, and its European vision who enjoys the excesses of America. Mixing styles and subtle paradoxes. Marilyn Monroe, John Lennon , Johnny Cash , JFK and more recently Jack Nicholson, Nicole Kidman, Natalie Portman exposed at the last Cannes Film Festival. Gad Berry is an artist in constant evolution .